One step above a regular garage floor paint, epoxy can transform the look and feel of your garage. For a cheaper option, you can purchase a paint that contains epoxy and apply it yourself. If you are more experienced, you can also choose to apply an epoxy floor coating, which is a resin mixed with a hardener. Both options have the advantages of making your garage look nicer while protecting it from wear. An epoxy floor paint isn’t very durable, and won’t be protected from scuffing, everyday damage and future stains. This means you’ll probably need to re-cover your floor on a regular basis. Both epoxy floor options will take at least two days to dry. Longer when the humidity is high. With an epoxy coating you’ll need to hire a professional or if attempting to do it yourself, the equipment and knowledge to prepare the floor before applying the coating. This process usually involves patching cracks, floor grinding, and several coats of material to prevent moisture damage. Unfortunately, many companies skip these critical steps, and the floor doesn’t last. Epoxy floor coatings don’t have a “life of the home” warranty (like My Gorilla Garage does!). If you’re putting epoxy on your garage floor yourself to save money, remember that it may take twice as much time and effort. Many epoxy coatings are actually “blended formulas” which are cheaper, but don’t last. Epoxy garage floor coatings require precise measurements of the chemicals, adjusted for temperature and humidity. A slight miscalculation can significantly affect the durability and look of your surface. 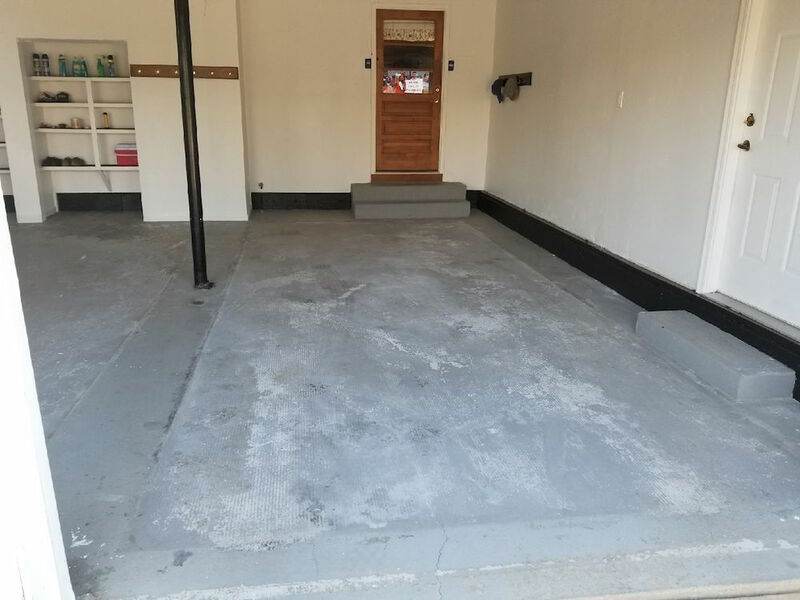 If you want garage floor coating that is more permanent, has a shorter, one day drying period, and is warrantied for the life of your home, My Gorilla Garage is the only choice. Though this option may seem more expensive, it will last much longer than an epoxy garage floor job and comes with a warranty. 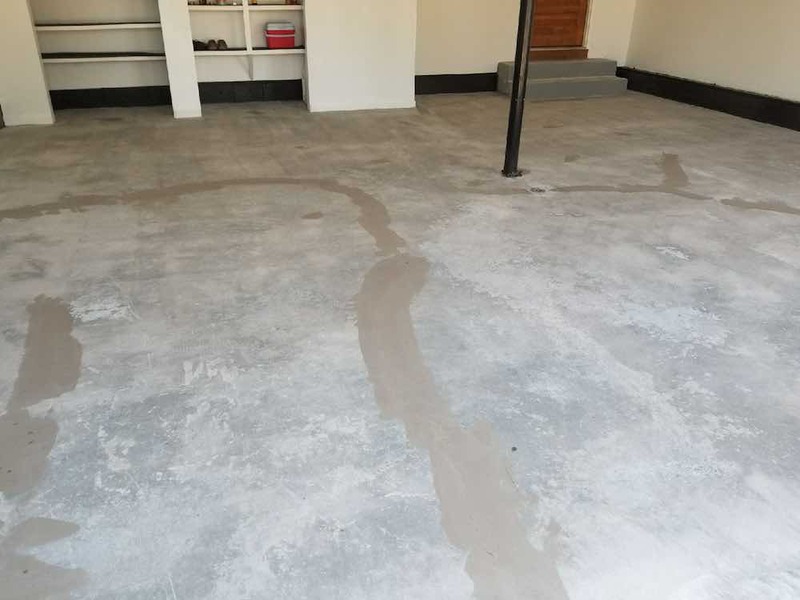 The cost of repainting or recovering your floor once a year because of chipping and new stains or improper installation will certainly add up over time, while My Gorilla Garage is designed to avoid those problems, and many more. 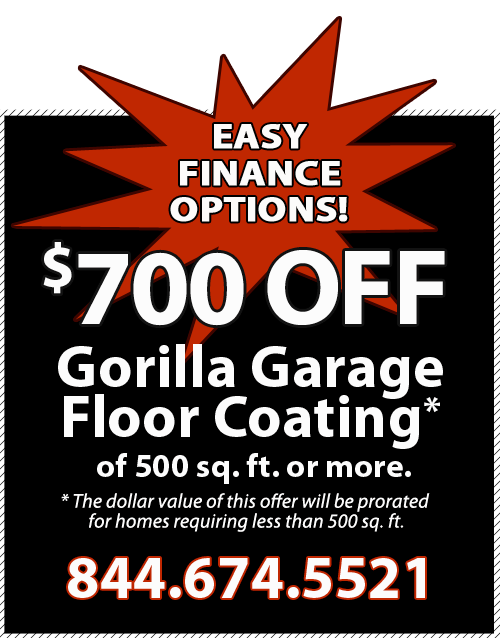 Call or contact My Gorilla Garage today for a free, no-obligation estimate for your new garage floor, sidewalk, concrete porch, patio, sunroom or similar application, including commercial properties. 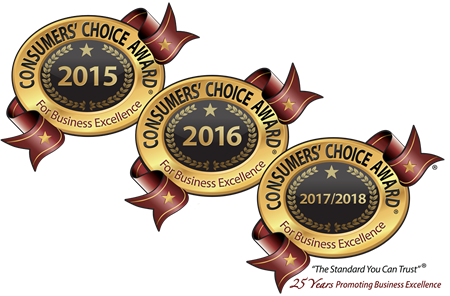 It’s a great investment in the comfort, usability and market value of your home or business, and we even have financing available! Call today, 844-674-5521. 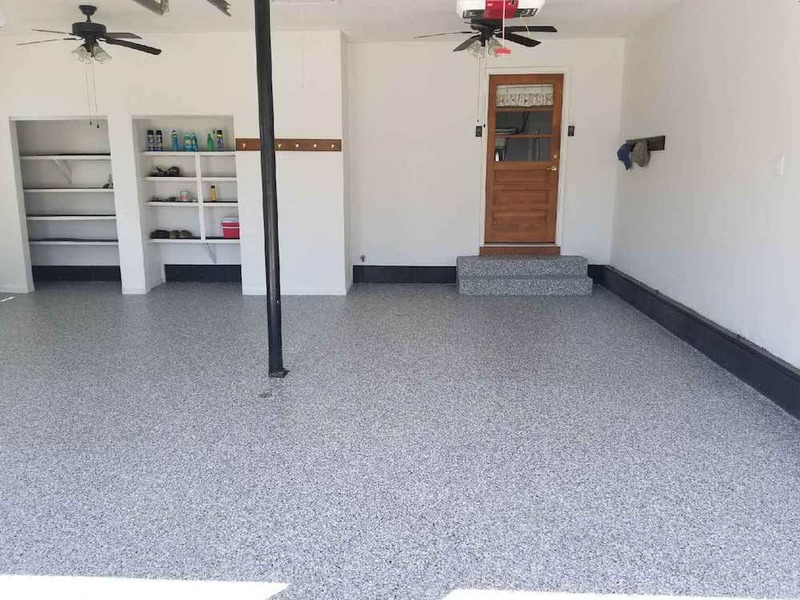 Compared to epoxy coatings, a My Gorilla Garage floor system involves significant preparation to the concrete, including diamond cutting and smoothing. You can’t do this with a DIY garage floor epoxy kit! Plus, our proprietary system is complete in just one day!